If you have a child with asthma or you suffer from asthma than you might want to create a safer environment at home by removing things that trigger asthma. Careful observation on your part as well as some help from your doctor can go a long way in helping your child. Asthma is basically a disease of respiratory tract characterized by symptoms such as coughing, shortness of breath and tightness in chest. While you can not control the genetic factors that cause asthma but certainly environmental factors are in your hand. Maintaining quality of air inside your home is an important way of managing asthma. Room filters or cleaners are quickly gaining popularity as one of the ways of controlling asthma symptoms. They are even helpful to those who suffer from chronic bronchitis or hay fever. Room filters or room air cleaners might even come in handy if you are living with a smoker (although its advisable to avoid smoking in home if any member of the family suffers from asthma). Room air cleaners work by removing small particles from the air. There are many varieties available in the market. HEPA filters are probably one of the best known mechanical air filters available. Its fan forces the air inside the room to pass through a screen which traps the allergens, dust particles and smoke. Directing the fan towards carpet or curtains will cause the dust to rise that can prove harmful. There are two major drawbacks for HEPA filters. One is the amount of electricity consumed while running HEPA filters and the other is noise that the running fan makes which can be quite annoying. Electronic air filters come with electronic charges that are capable of attracting allergens. The irritants are captured on a collecting plate attached to the device. 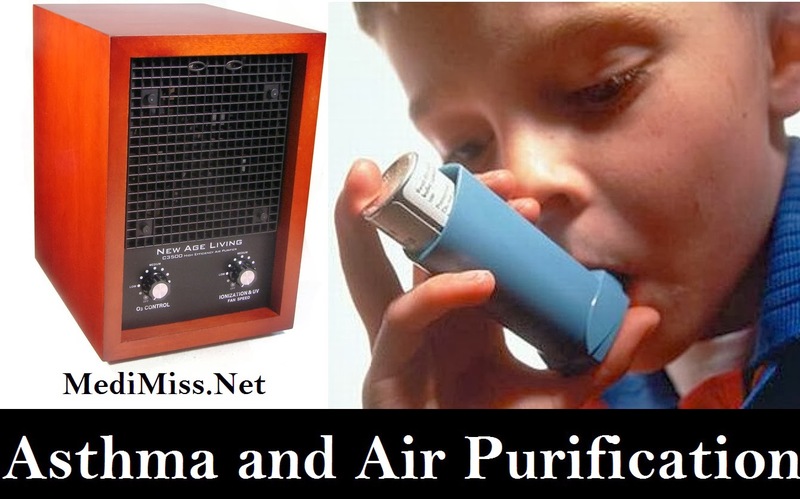 The drawback: they create ozone, which is a major cause in giving rise to asthma symptoms because it irritates airway. Having said that, ozone generators might also not be such a good idea. Ozone generators produce large amounts of ozone to clean the air in the room. Again they might prove more harmful than useful for asthma patients. Gas phase air filters remove odors and gases from the air. They do so with the help of carbon granules. Germicidal air filters are effective in cleaning air by killing viruses and bacteria. The germs get killed from the UV light as they pass through the filter. Another option might be installing HVAC systems in homes the are air-conditioned or heated through ducts. Even though this method might prove to be economical but the drawbacks include the production of ozone as a by-product and these systems are capable of filtering large particles but not small ones. With so many options available in the market one should think carefully before purchasing any type of air filter. It is important to consider your budget and get an estimate of what might it cost you to run the filter all year-round. Secondly, you should consider how much noise its going to make and whether or not its suitable for your bedroom or the entire house. Keep in mind that installing an air purifier at home may not be enough and you will still have to remove allergen causing agents such as carpets or pets from your house.